Welcome to our Platinum Business Partner - Henry Advanced Orthodontics!! 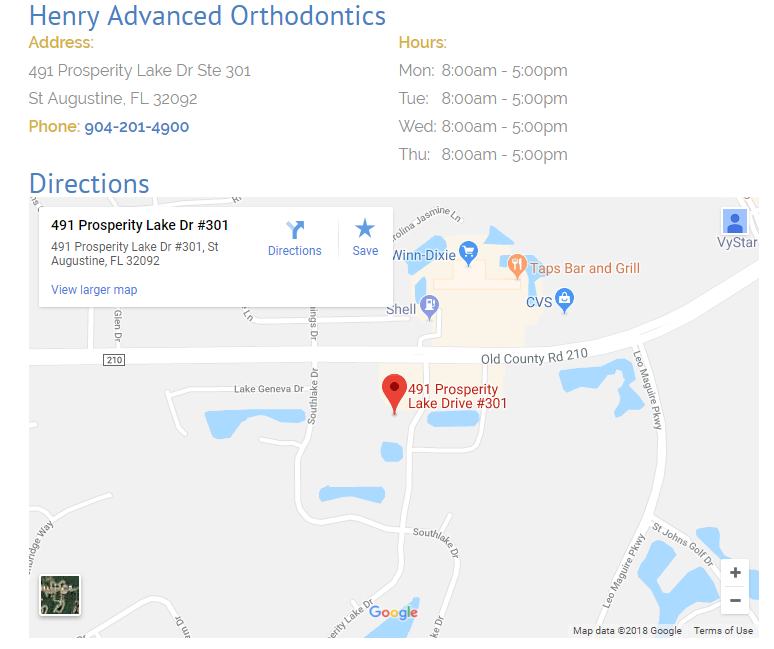 Located off CR 210 (across from Winn Dixie), Henry Advanced Orthodontics provides an outstanding dental experience for both children and adults. Dr. Henry has been practicing for more than a decade and has produced many many happy smiles here in St. Johns County (and other fun places in the US too!). Wards Creek Elementary PTO is very happy to have Dr. Henry and Henry Advanced Orthodontics as a Platinum Business Partner. We hope that you will call them at 904-201-4900 to discuss your orthodontic needs. For more information, you can visit them at ​www.henryadvancedorthodontics.com/.